American Woodworking completed renovation of two spaces in the same building in revitalized downtown Cincinnati for the Boca Restaurant Group, in what had been the famous Maisonette Restaurant. On the main floor, we created the luxurious Boca; the space downstairs was transformed into Sotto, a cozy, Italian trattoria. The aging space and challenges of making the unique designs work well within it made this an exceptionally satisfying build for us. This project let our woodworking, metalworking, fabrication skills and engineering abilities really shine. As with Boca, our finish department faced the challenge of creating custom finishes for a worn look, in this case, that of a warm, rustic trattoria that had been serving customers for years. 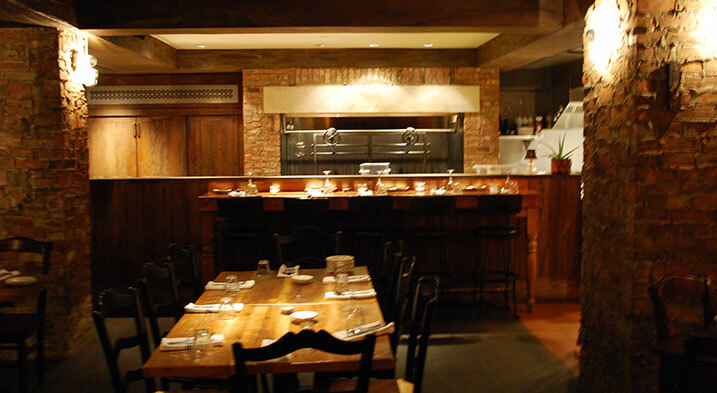 For Sotto Restaurant, we crafted wall and ceiling treatments from reclaimed lumber. 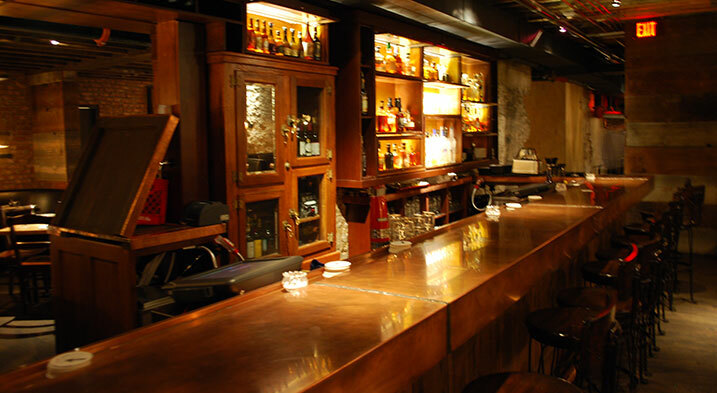 We created a new bar, featuring icebox-style cabinetry, and a gleaming bar counter of copper. 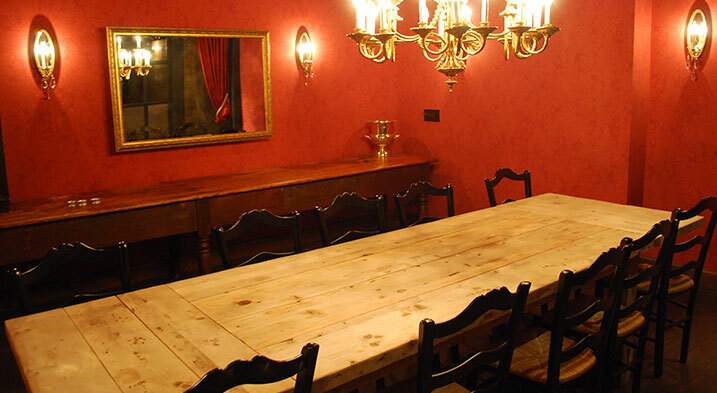 In a private dining room, we built a sideboard for serving and a pinewood long table for an Italian family feel. Sotto also required a display kitchen feature, for which we created wooden walls and the dining area’s wooden tables. The interactive collaboration between American Woodworking, the Boca Group, and the contractors, Core Resources, required quick thinking and engineering to get the input of all involved and complete the build-out within the project’s short timeframe. Our combined efforts were successful and our client, and their customers, are extremely impressed with the results.